This is truly a season for celebrating. 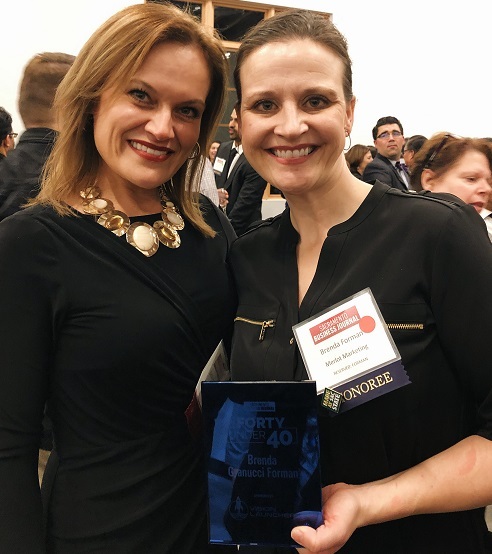 Not only are the holidays upon us, but last week the annual Sacramento Business Journal’s 40 Under 40 Awards were held. This particular crop of honorees included Merlot’s own Vice President, Managing Director, Brenda Forman. Brenda’s leadership skills, loyalty, passion and professionalism are why she is where she is today. She has led numerous local, regional and national campaigns and helped many of our multi-million dollar clients build their brands and businesses. She’s also been a tremendous leader and mentor to our team. Debi and Brenda at the Sacramento Business Journal 40 Under 40 Awards event. 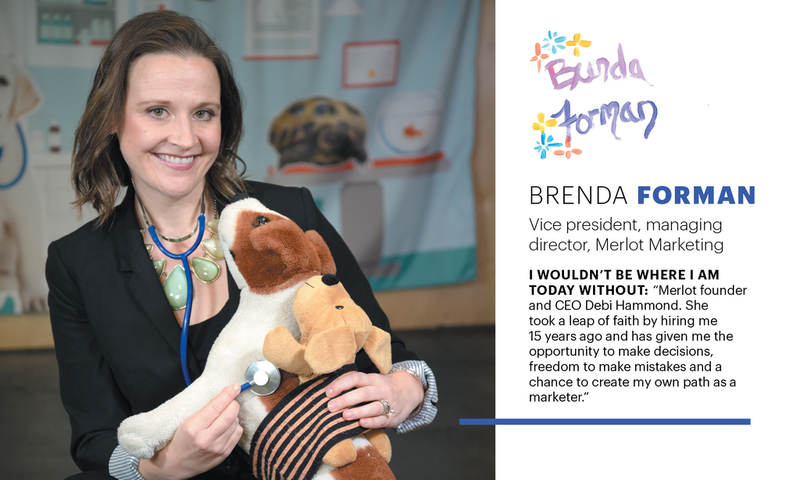 In addition to being named one of Sacramento’s 40 Under 40 this year, Brenda previously received distinction as Media Person of the Year from the Sacramento Ad Club and has won numerous national awards for campaigns and marketing projects for a variety of Sacramento-based and national clients. From the earliest days of her career, she has earned respect from CEOs locally and nationally to provide marketing consultation and guidance. She is admired by her peers, and I could not be more proud of the work and leadership skills she displays on a daily basis. This recognition is well deserved and the Merlot team applauds and appreciates her success.